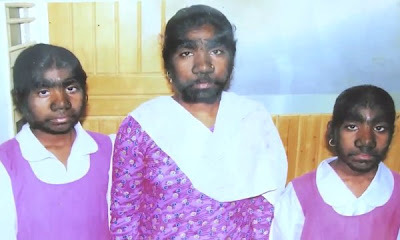 Meet the Werewolf sister from India who suffer a rare werewolf syndrome. Savita, Monisha and Savitri or also known as Sangli siblings have to live with a thick hair covering their whole body from head to toe. 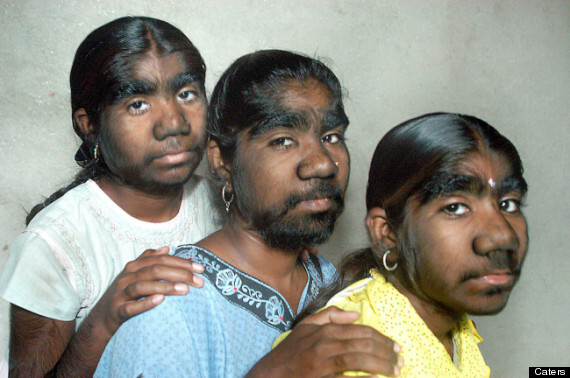 this rare werewolf syndrome or hypertricosis universalis affects just one in a billion people but it's really weird if this syndrome affects three of this sister. A years ago we also write about Supatra Sasuphan a girls who suffer a similar rare condition called ambras syndrome. but from what we heard supatra was proud with her condition even though a lot of hair keep growing on her faces. 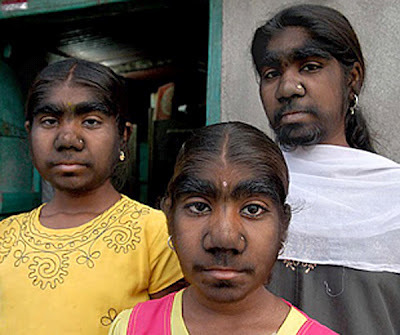 Savita, Monisha and Savitri lives in a small village near Pune, central India, Everyday they have to use a special hair removal cream to remove all the thick hair around their body. 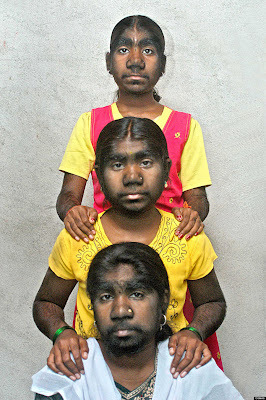 The Werewolf Syndrome on Savita, Monisha and Savitri sangli was passed down by their father who also suffer a werewolf syndrome. To fully remove their hair these three siblings have to done the Laser Surgery which is cost £4,500 per girl but the family are not wealthy enough to be able to afford it.